At Epson, we pride ourselves on producing high-quality projectors and lamps that are safe, reliable and provide the best viewing experience. As such, we’d like to shed light on an issue that may affect users of projectors. There are non-genuine lamps available in the market and, while we welcome competition, it is essential that all parts of the projector come together to deliver the optimal performance and experience for you, the user. Epson has no control over non-genuine lamps, and since consumers have no guarantee of quality, testing or regulation, these products may not be reliable. Non-genuine lamps are often poor quality in terms of light output and lifetime and they also pose a real threat, with some non-genuine lamps overheating, smoke being emitted from the lamp and electric sparks from the lamp connector. We’re working with law enforcement officials to help them seize counterfeit products, plus we’re sharing our knowledge so that it’s possible for you to avoid the pitfalls of non-genuine and counterfeit lamps. When you buy an Epson projector, you’re buying the very best in projection technology from the number one manufacturer in the world1. We ensure that each and every part of every projector is developed to the same high standard, and that's why we've been number one for over a decade1. Epson genuine lamps are a part of that technology. If you buy genuine, you’re buying our promise that you’re getting the best possible lamp for your Epson projector. With genuine lamps, you can enjoy superior picture quality, value for money and lamp life, protect your warranty, and safeguard yourself against potential risks. Non-genuine lamps can overheat and, in the worst cases, set fire to the projector. This makes the importance of investing in genuine products clear to see. Non-genuine and counterfeit lamps can create a whole catalogue of problems affecting your viewing experience, warranty and costs. When using non-genuine lamps, parts of your Epson projector such as the housing or wires may overheat, disconnect, or become damaged, and in the worst case, smoke could be emitted from the lamp and electric sparks from the lamp connector. Counterfeit lamps may result in inaccurate colour projection, lower brightness levels, and flickering images that disrupt your viewing experience. 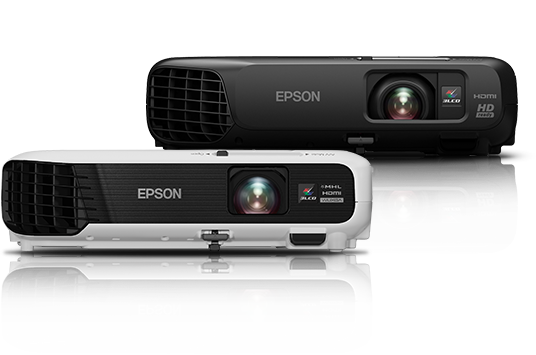 Expect consistent performance from your projector with continuously bright and realistic images - only with genuine Epson lamps. Epson projectors produce bright and vivid colours and true-to-life images thanks to our unique 3LCD technology. To ensure your Epson projector delivers equally high White and Colour Light Output (CLO) over its lifetime, we recommend using genuine Epson lamps. There are a few simple things you can do to ensure you buy a genuine Epson lamp. We have been working with law enforcement officials to help protect our customers against counterfeit products, and in just a few years, tens of thousands of counterfeit lamps have already been seized. As part of our work with law enforcement officials, we have developed a special colour shifting label to help them identify genuine products. It is placed on all lamp housing and projector lamp boxes (introduced 2012), to ensure it is easy to identify counterfeit products. We believe it's essential to offer our customers lamps with a long lifetime, but unfortunately the same cannot be said for non- genuine lamps. Our lamps provide up to 10,000 hours of usage, which equates to watching a movie every day for 15 years4. Epson lamps are specifically designed and rigorously tested to work with Epson projectors. They are produced under stringent quality control standards that enable Epson to guarantee optimum performance of the projector and lamp. As it's not possible for Epson to test and evaluate non-genuine lamps, any malfunctions caused as a result of these lamps may void the projector warranty5. Epson lamps are precisely positioned within a specially-designed housing for easy and accurate placement inside an Epson projector. Any variation in the location of the lamp, either inside the housing or the projector, will affect your projector’s brightness and image quality. Epson lamps must be placed correctly to provide optimum projector performance - this cannot be assured with non-genuine lamps. Testing by Epson based on IEC61947-1 aging test over 2,000 hours on 34 non-genuine lamps, Sept 2014. Subject to projector warranty period, new replacement lamps are covered by a three month warranty. For more information, please visit www.epson.ie/warranty for individual projector technical specs, Epson coverplus service and extended warranties. Below shows the available lamps for your selected projector.